Dogs tend to be unique when it comes to showers and bath time. Some dogs love the water, others will hide in the closet with their tails between their legs when they hear the "s word." What happens after their showers also tends to vary from dog to dog. 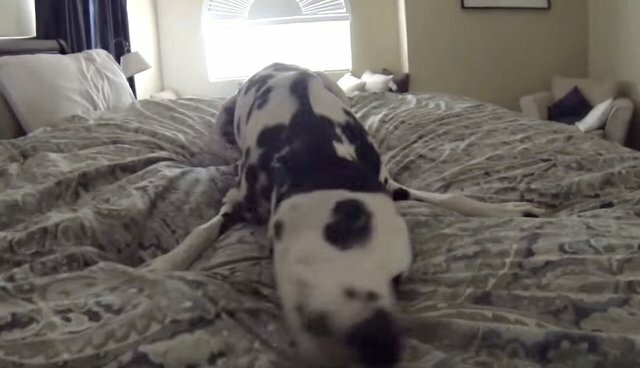 Ollie the dalmatian just happens to be the type that needs to "wipe the clean off" on every single piece of furniture in the house! Watch as he thrashes through every room in the house to re-claim what's rightfully his after he's done with his shower!